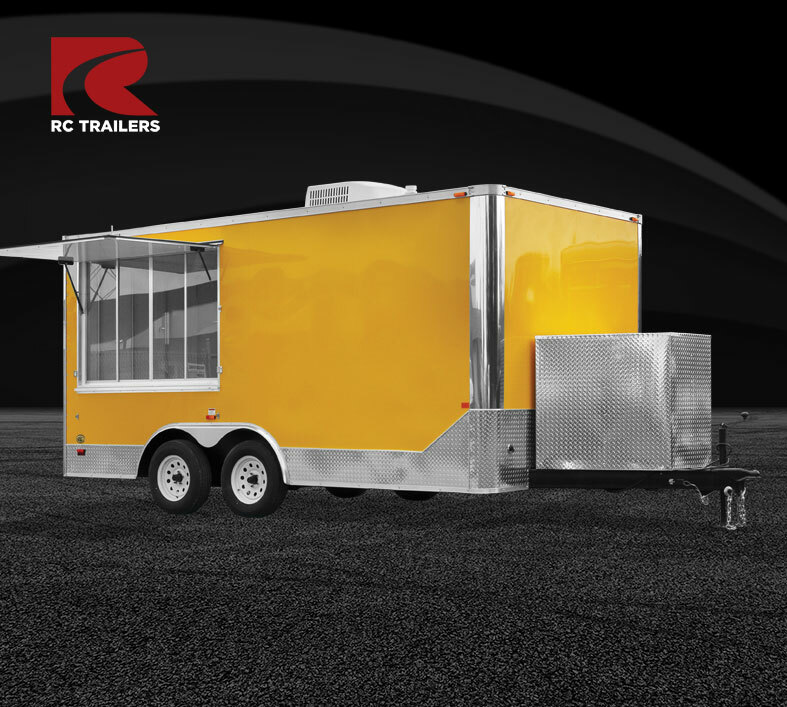 Concession Trailers from RC Trailers are built on our most efficient platforms, and tricked out with exactly the features you need to keep customers lining up for what you have to offer. Every concession trailer is a “One of a Kind” at RC Trailers. 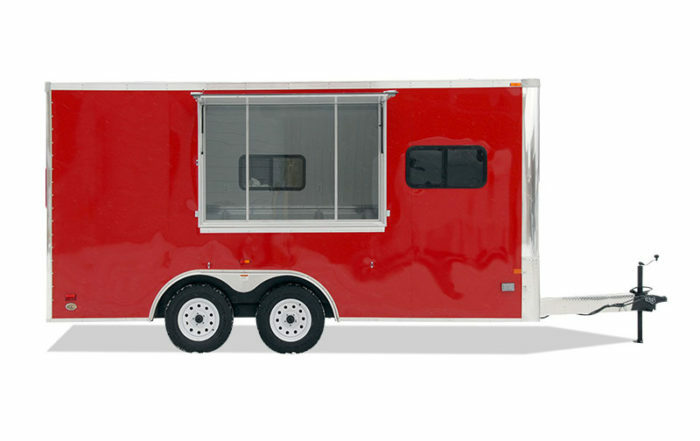 We partner with our customers to customize your trailer to your specifications. 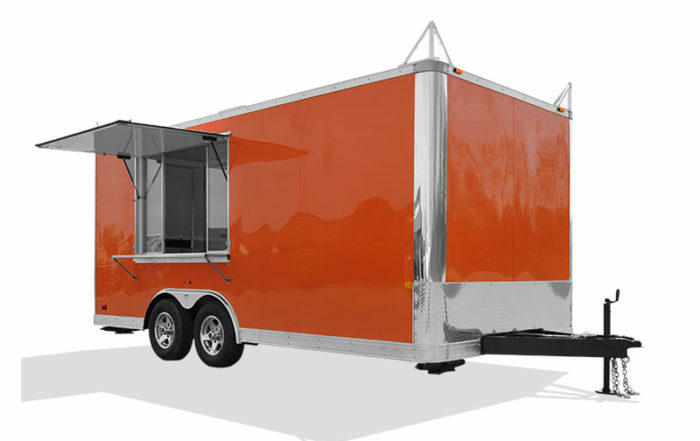 RC Trailers has an Options building with nine bays dedicated to customizing trailers. Popular options include sinks, stoves, heating, air-conditioning, custom cabinets, outside countertops, signs, and generators. These models are available in either aluminum or steel with a variety of hitch options. Please see product specs for more details.